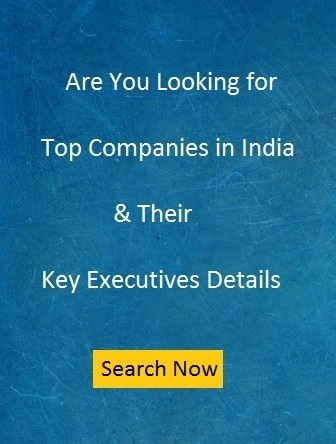 Looking for Automobile Companies Database? Fundoodata is providing automobile companies database city, employee, entity and turnover-wise. You can also get the details of key executives through various subscription plans. Automotive industry is mainly involved into development, design, marketing, manufacturing and selling of motor vehicles. The Indian automotive industry includes commercial vehicles, four, three and two wheeler, passenger vehicles etc. In order to keep up with the growing demand, several auto makers have started investing heavily in various segments of the industry. Now the automobile companies are also exploring rural markets to expand their reach. Automobile industry is mainly segregated into auto- ancillaries, automobiles and dealer companies. Major automobile companies are into the range of 10 to 100 crore turnover. Large number of automobile companies are from 100 to 2500 crore turnover. The Industry is mainly dominated by Public Sector companies. The major automobile companies are located into top cities like Mumbai, Bangalore, Pune, Hyderabad, Chennai and New Delhi. The automobile sector is spreading all Indian region mainly in North, South and respectively west and east. Competent Automobiles Co Ltd etc. Automobile Industry is mainly dominated by Public Sector companies. But it also includes BSE listed companies such as Apollo Tyres, Ashok Leyland, CEAT, Bosch, Good Year, GK Tyre etc. 100- 250 Crore Turnover– AS Motors, AA Autotech, Amar Autotech, Aadit Auto etc. 1000-2500 Crore Turnover– A.G Industries, Automotive Manufacturers, BMW India, Bharat Seats, Automotive Manufacturers. 101- 250 Employees– A B Motors, AS Motors, A Raymond Fasteners, A2Z Autowheelers etc. 1001-2500 Employees – Advaith Motors, Allied Nippon, Ammann India, Ashok Iron.